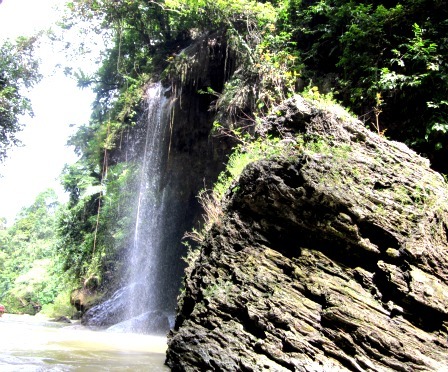 You will fall in love with Pangandaran for the very first time if you look at the beach. From the entire beach that Java and Bali have, this is the most valuable beach for me and it conquered a special place in my heart, why? Not because of the beauty of the beach, though it’s a delightful beach. This beach brings all the lovely memories back on my youth happy time. This is the place where I found my first love. And that’s was twenty years ago. Silly isn’t it that youth time will come back whenever you’re going older. And it’s getting stronger when the life is going the wrong way. You might think right now, what is she talking about? We’re talking about beach, not a life. I might get wrong, but life and nature beauty hang together. The nature beauty is good for the soul and the mind. It will bring you the peaceful thought. When you get angry and upset, go to the beautiful beach and admire the beauty of the God greatness, will make you feel better. I’m pretty sure about that. Anyway enough about that, we’re now talking about Pangandaran beach. It’s a wonderful and beautiful beach. Maybe it’s one of the best visiting and the most famous beach of Java. A famous legend dominated the atmosphere of the impression of the beach. Nyai Roro Kidul, the passionate and a very beautiful Goddess who has been ruled and frightened as a legend over this place for many ages. Don’t wear any green colors if you’re intend to visit this beach, or Nyai Roro kidul will bring you to her palace and you will never coming back, that’s what local people believe. So if you’re intending to stay a life, don’t wear any green color, or your life might be ended here forever, ha ha. Don’t take seriously if you don't believe it. But it might be wise to follow the rule if you don’t intend to find out what could be happened. There are several story tell by people that men disappeared when they wearing green clothes. Indonesian places are full of mystic legends and happening. There is no doubt about it. Every place has own legend and remarkable story. That’s why a lot of places and beaches in Indonesia are so interesting. 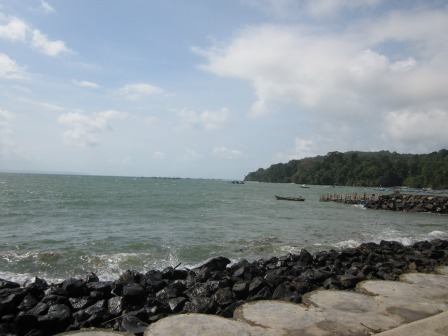 There are several interesting places and other beaches around Pangandaran that you might like to visit, such as Batu Hiu beach, where you can admire the rocks look like shark, I would talk about this beach in another story. Or you can hold your breath when you are in Green Canyon. This hiding place is remarkable with green water when it wasn’t raining, very impressive place, we would talk about this place later. 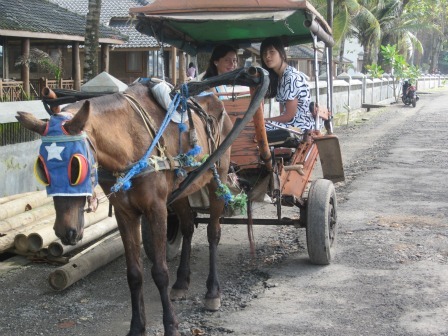 Anyway you would love all the places around Pangandaran, each one of them has their own charm, you would also love it. 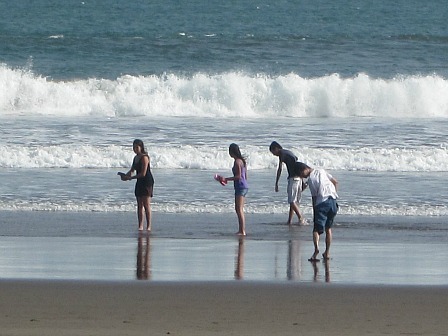 There is enough activity around the beach so you don’t even have any chance to getting a dull moment. The beach is the perfect place to do some surfing; I have no idea about surfing because I can’t do that. So about this activity, some people told me. I might have to believe that. It seems to me a delightful chance to do that. Maybe someday I get the chance to learn that skill or maybe never. Honestly I’m too scared to do that, ha ha I’m a coward, I know, but it’s scary if you have to do something dangerous. Anyway there are enough other activity around here besides surfing. You will discover that once you’re arriving here. 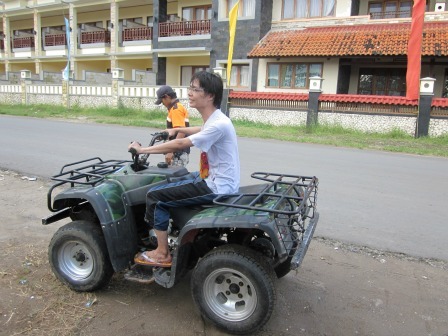 Fishing, walking, kite surfing, horse riding, and not to forget the food also very invited as an always in Indonesia. Vacation doesn’t always have to be expensive. I can prove that. You don’t need exclusive place to staying; often the simple place to overnight would be enough, as long as they clean. Belief me there is no more satisfaction than a simple bed and simple breakfast with friendly people. This simplicity is not expensive. The food around Pangandaran isn’t that expensive also. Search and look, and you would enjoy the most exquisite meal with no more than a few dollars. European Food at Pangandaran Beach???? I know that picture above is not pretty Indonesian. We buy such meal for my nephew and nice because they aren’t proof so often any European meal, and they like it very much, so we spend this time in the European restaurant. 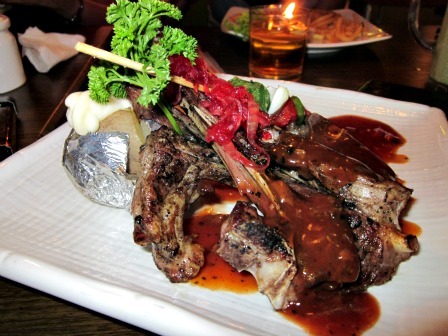 I prefer traditional and simple Indonesian meal with white rice and baked fish and tofu, its more appetite. 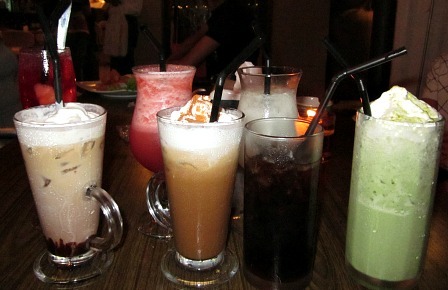 Enjoy some delightful drinks after walking along the coast?? So, as you can see, there is a lot of variation of food that you can get around the beach. You won’t be starving here. It's enough choice. What are you waiting for? Let’s go and make trip to this delightful beach.